Forrest Brennan, working with 360 Labs, was experienced in video production, but was a novice scuba diver when he travelled to the coast of Jordan for an underwater 360 shoot in the Red Sea. As an American travelling to the Middle East for the first time, crossing borders with odd-looking underwater camera equipment, he had to to address creative and technical challenges. 360 Labs, based in Portland Oregon, has over 10 years experience is producing 360° photography and video, and have used their expertise to more recently create 360° underwater experiences. Forrest was part of the team for a Grand Canyon VR Experience, and underwater shoots in Mexico. 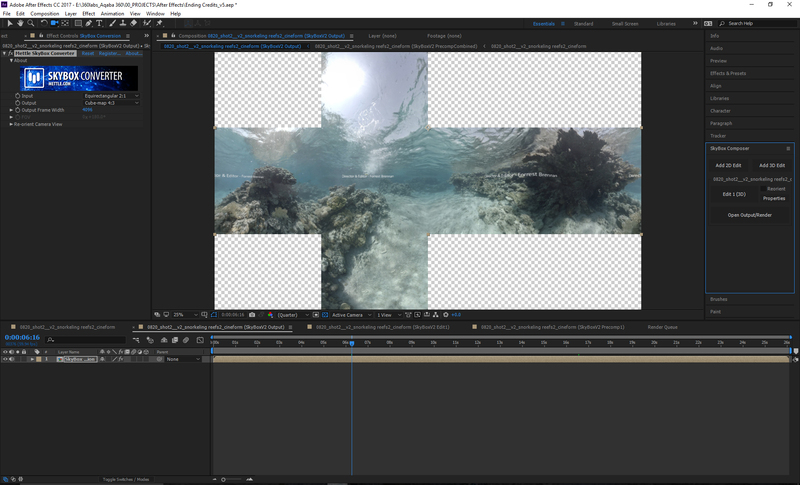 Mettle software makes it easy to work on the 360 footage in much the same way as 2D footage in post, bringing cinematic tools to 360 content creators. 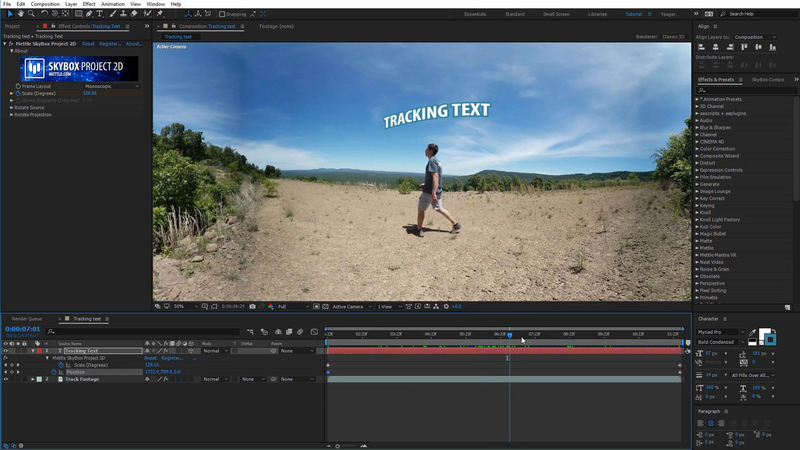 The improved workflow features in SkyBox Studio V2 make it even easier to add effects, do color grading, stabilization, and text and logos. Tell us about this project. What was your role? I traveled to Aqaba, Jordan and filmed, stitched, edited, composed music and color corrected the final product. I went by myself but my girlfriend was there on a scuba diving internship, so she helped me film and set it up with the dive shop, Dive Aqaba. What was it like travelling to the Middle East as an American? Traveling to Jordan was an extremely long journey but I found the people in the Middle East to be friendly, curious and helpful. The hardest part was trying to explain what the camera rig was for going through security. They had never seen anything quite like it before but everything worked out. 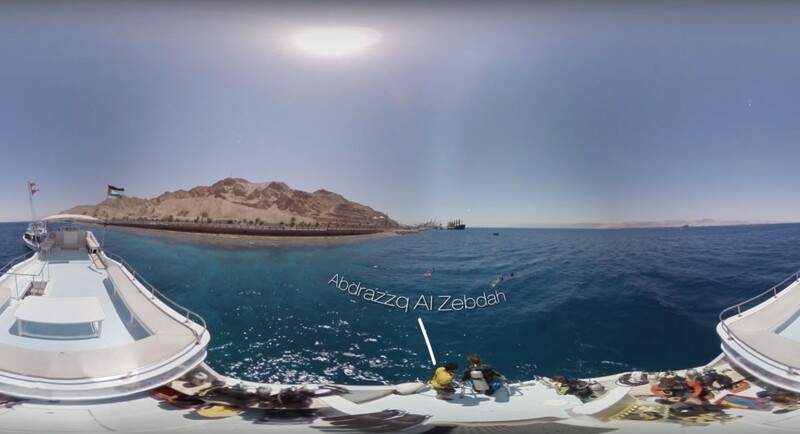 On location in the Red Sea, off the coast of Jordan. 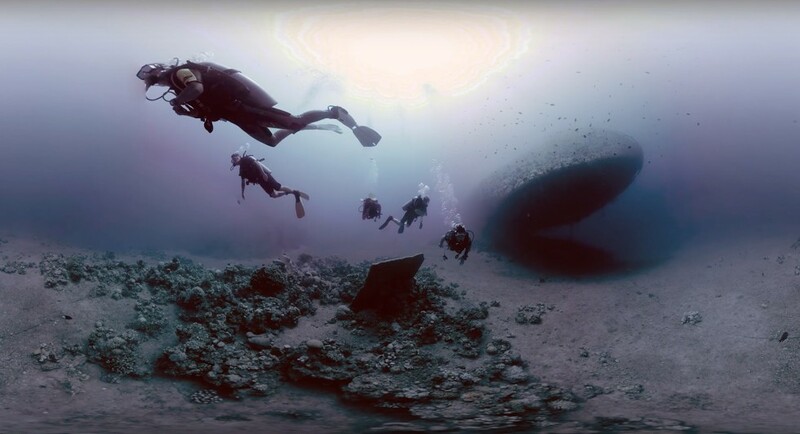 How did you get involved in underwater 360 video? Do you have a background in 2d film? I have done 2d film for seven years now, mostly as an editor but also shooting. I started working with 360 Labs in 2016, where I learned how to shoot, stitch and edit 360 video. I had already traveled to exotic locations for some 360 productions, mostly with 360 Labs. Last Summer we went to Mexico filming a resort, and also filmed swimming with whale sharks and a few other water activities, including water propelled jet boards. We also rafted through Utah with a group of Pentagon first responders at 9/11, and Iraqi vets. 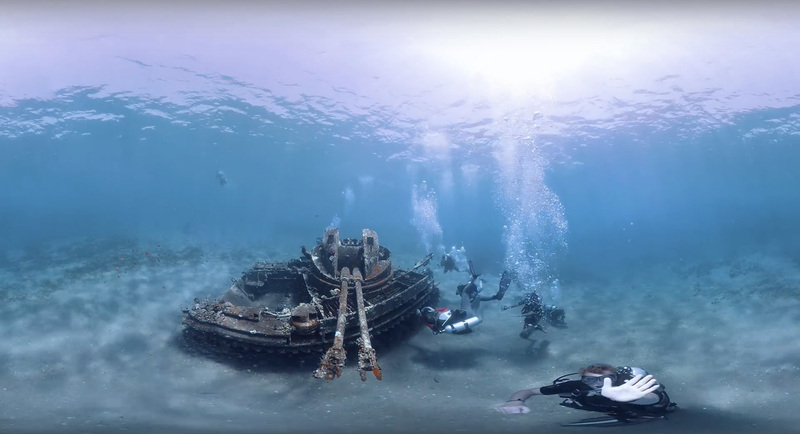 What is it like shooting 360 underwater? What are the challenges you faced compared to shooting out of water? I was on a boat every day with a different group of tourists, mostly from Israel, and when I starting pulling out the Abyss I would get a lot of questions. It looks like a small ufo on a pole so it tends to get a lot of attention. Is there anything easier about shooting underwater? It was very nerve racking at first because I was just learning how to scuba dive. After I went through the basic training I weighed the camera rig and tripod so it would sink, just slightly. It was a balancing act of remembering to breath the right way and hold the camera stable, or look for a spot to place it and swim away. The only thing that was easier shooting underwater was the serenity of scuba diving and general calmness I felt being submerged. Now I really enjoy scuba diving. I am in the planning stages for another trip this Summer to do scuba diving in Spain! Did you run into any technical challenges that were hard to overcome? An interesting challenge was that the tripod pole that mounted to the Abyss. It got so full of salt water that by the end of the trip, I could not break it down less than 4 feet. The entire trip back I pretended it was my walking stick so as to not have it removed by security. Sometimes added a limp for effect. When I showed to 360 Labs staff back in Porltand, OR, they turned it and it separated right away. 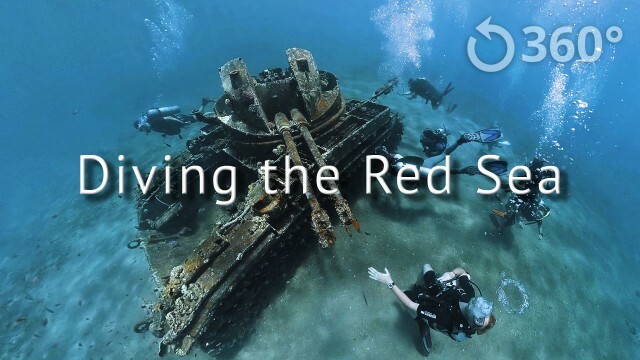 “Diving the Red Sea 360” documents the marine life, looks at sunken war memorabilia and follows the adventures of several scuba divers. 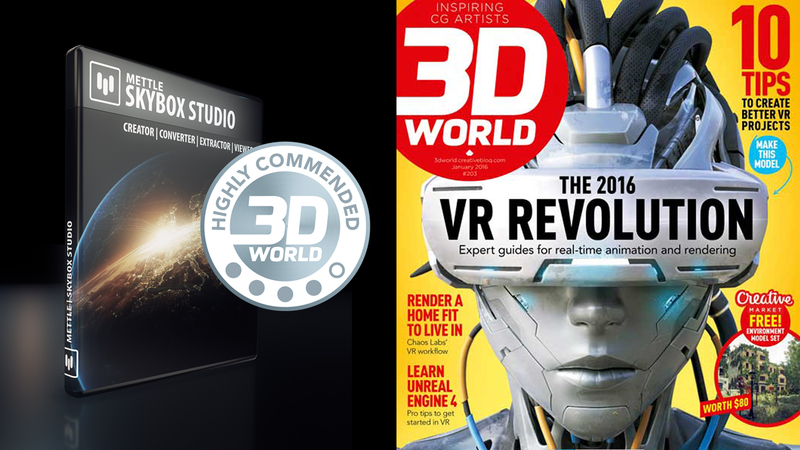 Mettle software was instrumental in providing the right tools for the 360/VR workflow. 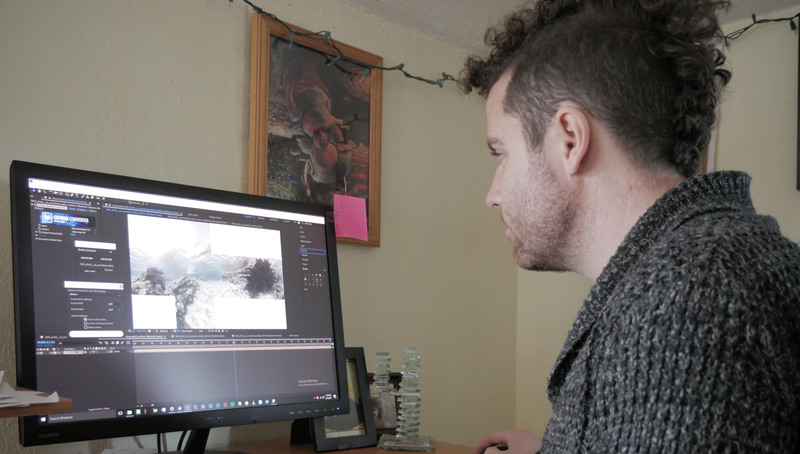 Forrest Brennan at work in After Effects, with Mettle SkyBox Studio. What is you production process, from camera equipment through post? I used the Abyss with 6 GoPro 4 blacks. Every day I set up the camera rig and tested it before I plunged in. I had to turn them on before I went underwater because of the wifi needing air to communicate. I then had to clean everything very thoroughly because the Red Sea is extremely salty. I spent a lot of time watching long clips and figuring out when the moments of swimming with the rig in my hands were the most stable. I had a lot of help from my colleagues at 360 Labs, on stitching and mastering. It was well over 100 hours of setup, clean up, transferring footage and editing. How did you use Mettle software in your production? 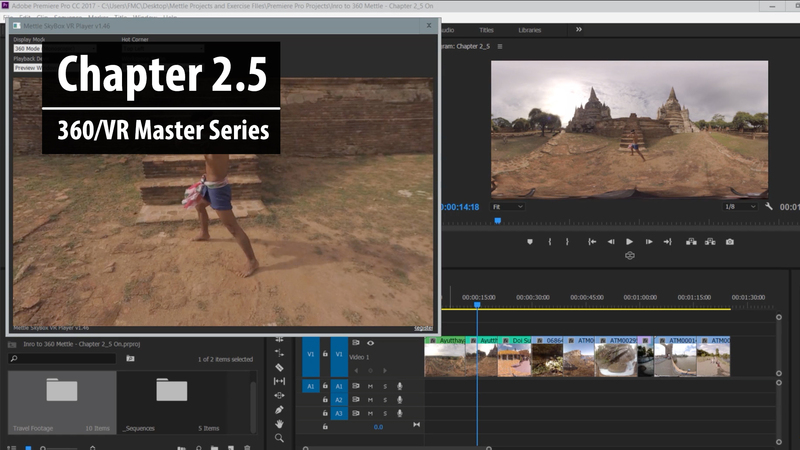 I used Mettle SkyBox Studio V2 to remove tripods, motion stabilize, add text/credits and apply simple motion graphics. I was in the middle of the project when Skybox Studio V2 came out and the improved workflow from V1 was a real time saver. Mettle was a key attribute to make this piece. 360 Labs is a production company specializing in 360º immersive panoramic photography and video based out of Portland Oregon. Their goal is to create meaningful and memorable experiences for virtual reality, desktop and mobile applications. 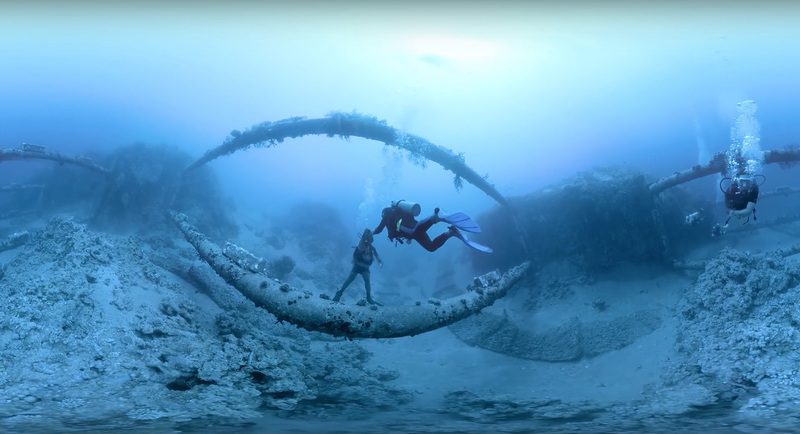 As 360º cinematographers, they capture experiences in full 360×180 video for the explosive new VR medium. Each of 360 Labs founders are also certified by Google to provide businesses with interior Street View, a high quality interior virtual tour integrated with Google Maps. 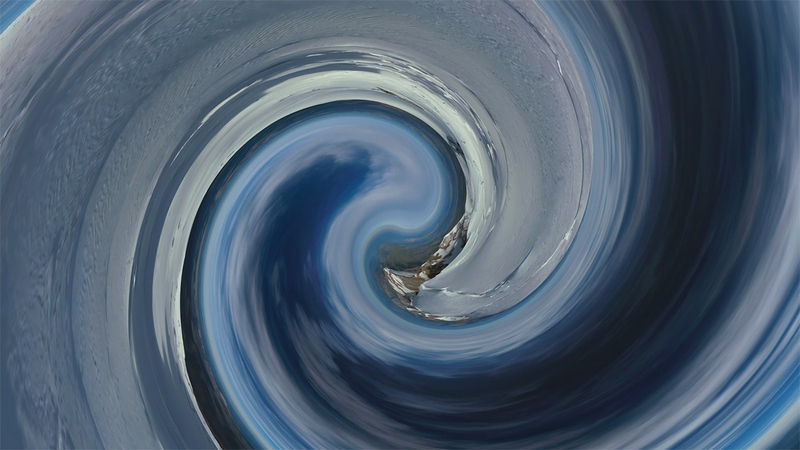 In addition, we can create fully customized proprietary virtual tours, tailored to your needs. 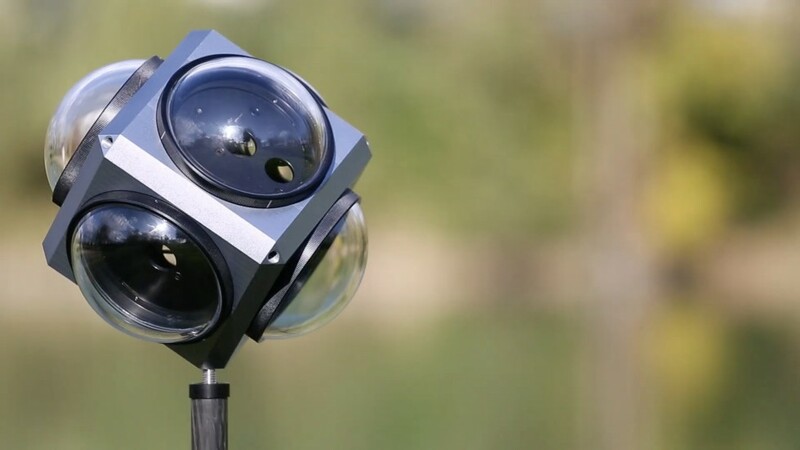 With ultra high resolution Gigapixel imagery, they can create vast panoramic views of audiences at events for social media tagging, or simply enhance a beautiful landscape with the ability to zoom in and see the smallest detail.